Owning a home is a distant dream for most city dwellers. Due to the exorbitant real estate prices, people are compelled to live in rented properties. However, demonetization seems to have come as a breath of fresh air for all those yearning to have a home of their own. Developers are offering opulent high-rise buildings at prime locations of the city at affordable price points. Another great effect of demonetization has been in the form of a downward pressure on the structure of interest rates. A lot of people have to think twice before applying for a home loan as they cannot afford the sky high EMIs. The decreased rate of interest will come as a huge relief to all those waiting for an opportunity to buy an extravagant home. You can now own an affluent home in the StarOm Millenia’s classy high-rise residential building project for 45 lakhs onward. In addition to an awe-inspiring architecture and fabulous interior decor, this property boasts of prime location. It is located on B.T. 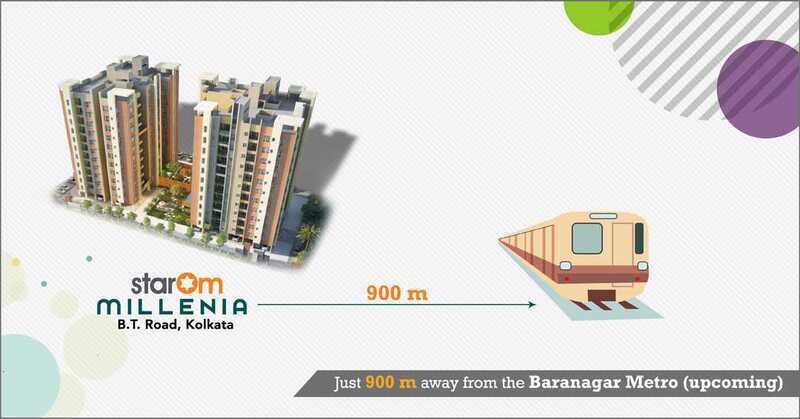 Road in North Kolkata and guarantees to offer you with high standards of living facilities and amenities. 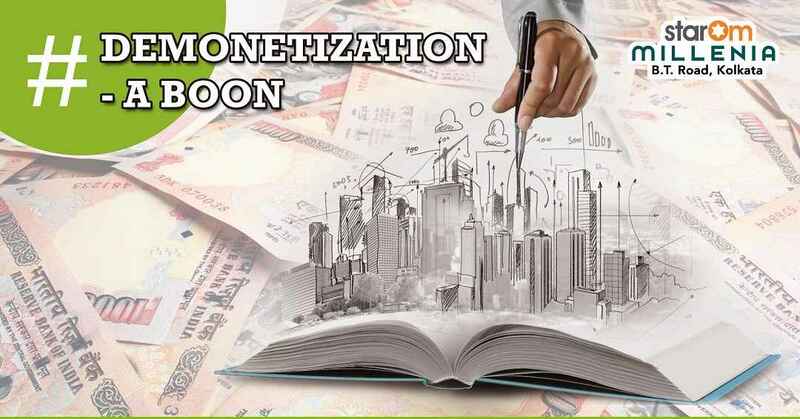 Take advantage of the demonetization trend and gift yourself the home of your dreams.